Blended Learning involves the use of multiple learning environments - usually some combination of physical/face-to-face and online/virtual approaches. In the strictest sense, blended learning is when an instructor combines two methods of delivery of instruction. However, this term most often applies to the use of technology on instruction. Over the last few years the use of online/ virtual technologies for learning, teaching and assessment has gradually expanded. 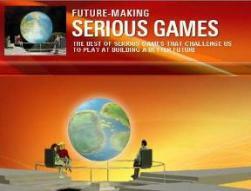 Serious Games, of course, are often part of the "blending" process. Georgia State's "island" will offer educators free instruction on setting up a virtual classroom. 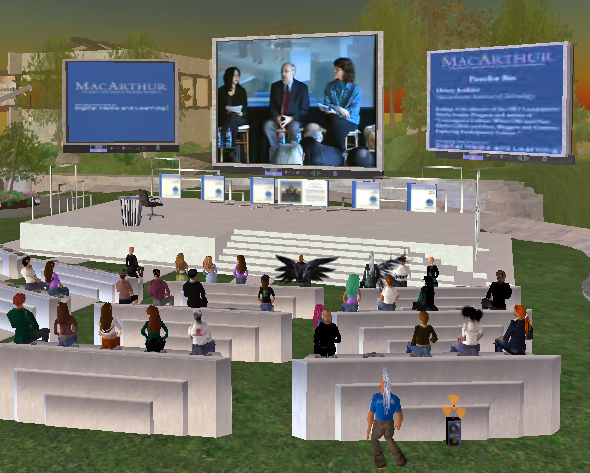 It’s tough to teach a college class when your students are constantly flying around the room; just ask any professor who has opened a classroom in the online world of Second Life. Soon, though, college faculty members who need help with the internet universe of more than 10 million registered users can tap a Second Life “island” that Georgia State University is starting. The island, a plot of virtual land (actually server space) like others available in Second Life, will offer free instruction on setting up a virtual classroom and will showcase best practices and offer tips on other ways to use Second Life for instruction. For example, architecture students can build a virtual house instead of simply designing one on paper. Clothing design students can hold a virtual fashion show. Business students can start a company and see how it does without risking startup capital. And other students can see the impact of a tsunami or hurricane coming ashore. 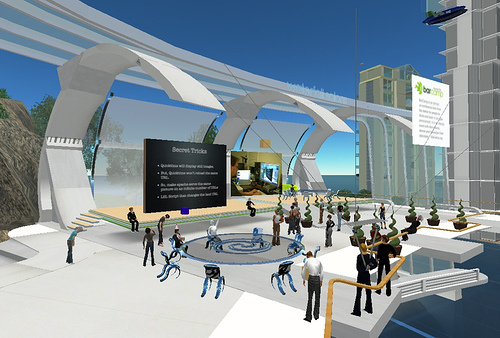 “By teaching in Second Life, you’re able to give your students an experience that might be too expensive or dangerous in the real world,” said Paula Christopher, a technology project manager at Georgia State. The university’s island is in the development stages and should be open by summer, Christopher said. Evaluation on both Playing 4 Keeps and Ayiti released! 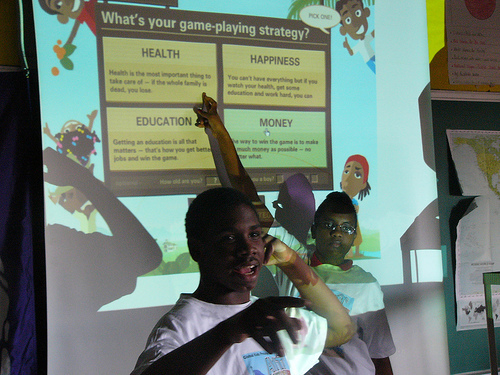 After two and a half years, Global Kids is delighted to release the results of the independent evaluation by the Center for Children and Technology of both Playing 4 Keeps, their after school gaming program, and Ayiti, the game produced with Gamelab during the first year of the program. For the evaluation CCT observed the program and interviewed the students. To evaluate the game they looked at the results of nearly 16,000 game plays. In short, when we made Ayiti we wanted to learn if players would learn if the factors affecting access to education within an impoverished condition are both interdependent and exist within a dynamic system. CCT's research found that "the central idea embedded in the game play, that no single factor accounts for success, appears to have been successfully communicated to the majority of players." Bingo! 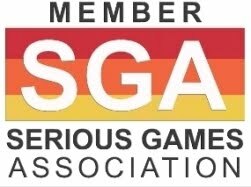 A gaming program that improves the lives of its participants and creates a game that has a measurable affect on the critical thinking of its players AND is an award-winning, engaging experience - nice! Trying to duplicate the success of blockbuster Web sites like Club Penguin and Webkinz, children’s entertainment companies are greatly accelerating efforts to build virtual worlds for children. Media conglomerates in particular think these sites — part online role-playing game and part social scene — can deliver quick growth, help keep movie franchises alive and instill brand loyalty in a generation of new customers. Club Penguin, where members pay $5.95 a month to dress and groom penguin characters and play games with them, attracts seven times more traffic than Second Life. In one sign of the times, Electric Sheep, the software developer that helps companies market their brands in virtual worlds last week laid off 22 people, about a third of its staff. Add to the mix similar offerings from toy manufacturers like Lego and Mattel Upstart technology companies, particularly from overseas, are also elbowing for market share. Mind Candy, a British company that last month introduced a world called Moshi Monsters, and Stardoll, a site from Sweden, sign up thousands of members in the United States each day. The proliferation of broadband Internet access is forcing players to rethink the ways they reach young people. “Kids are starting to go to the Internet first,” Mr. Wadsworth said.